I had put my resume on 7 other major job boards and the BEST results came from MilitaryHire. I posted my resume on MilitaryHire.com. I received a job offer in 2 days. Thanks MilitaryHire.com! Thanks to MilitaryHire I found a better job within a matter of weeks.... I highly recommend MilitaryHire – it truly works. You’ve served your country. Now let us serve you. Sign up now—it’s free, quick, and easy. 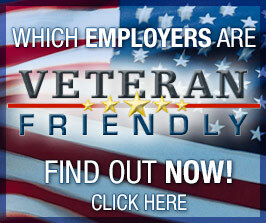 Be found by hundreds of veteran friendly companies—post your resume! Don’t worry if it’s not perfect—you can easily update it later! Don’t wait for companies to find you. Set up automated JobScouts to scour our database and notify you of new jobs for veterans. Finding the right job can be challenging - even more so when transitioning from the military. Let us help with job search advice tailored to U.S. Service Members and Veterans. MilitaryHire began connecting veterans and employers in 2000. Employers quickly came to appreciate the character, skills, and service of the veterans they hired from MilitaryHire. Since then, we have helped over 500,000 veterans in their job search. We have helped employers hire veterans across the US and overseas. We have helped veterans find jobs at companies of all sizes from the Fortune 50 to companies whose head count is less than 50. For veterans looking for jobs and companies looking to hire veterans, MilitaryHire is the answer. Employers, learn how to attract and retain veterans with our Ultimate Guide to Hiring Veterans. Sign Up Today to start hiring veterans! Congratulations! You have the job offer in hand. You have spent months perfecting your resume, honing your interview skills, searching and applying for jobs online, and now you have the offer. But should you accept it? You've spent so much time and energy pursuing the job offer, but have you truly considered whether this job is a good fit for you? Here are 10 questions to ask that will give you real insight into the company, the role, and whether it will fit you. The consultative interview is a technique that lets you show value to the employer immediately. It can make the difference that lands you the job. Recruiters have direct connections to hiring managers and often don't get paid unless they find the right candidate for a job. That means recruiters can be a key ally in your job search process. Why Did You Leave the Military? Veteran job seekers often struggle with the common interview question "Why did you leave the Military." To answer this question well, avoid these common pitfalls while staying true to yourself. Companies devote significant energy and resources to recruit top talent. Despite their best efforts, they often are unable to fill open positions with talent that truly meets their needs. A sure route to overcoming this challenge is to hire veterans. If you're looking for a new job, clean up your public Facebook persona first! The Title of your Resume IS IMPORTANT! The title of your Resume guarantees whether it gets viewed or not. Make sure you've carefully crafted your resume's name to include your experience and what kind of job you are looking for. This will help ensure that the job you want is yours. Success in the job search depends on communicating your accomplishments both in your resume and during the interview. But how do you identify your accomplishments beyond "I did my job and I did it well?" Veterans would never go outside the wire without preparation but too many do just that when it comes to interviewing for a job. Here is how you can apply your military training to ensure success in the job interview process. I was recently called out for too much military jargon in my resume. Here is how I fixed it and how you can fix your resume. Career Fairs add your Career Fair here! 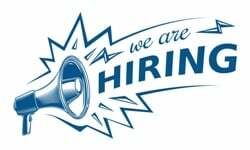 15 May 2019, 10:00 AM - 3:00 PM, Hilton Washington Dulles Hotel, Herndon, VA.
TECHEXPO Top Secret Hiring Event Secret Clearance or Above REQUIRED. 18 May 2019, 10:00 AM - 2:00 PM, DoubleTree by Hilton Baltimore - BWI Airport. TECHEXPO Brunch & Hiring Event Secret Clearance or Above REQUIRED. Don't miss the opportunity to meet dozens of employers hiring for positions nationwide. Job listings, pre-registration, & full schedule of job fairs on www.TechExpoUSA.com. SFL-TAP Center; 5661 Screaming Eagle Blvd.